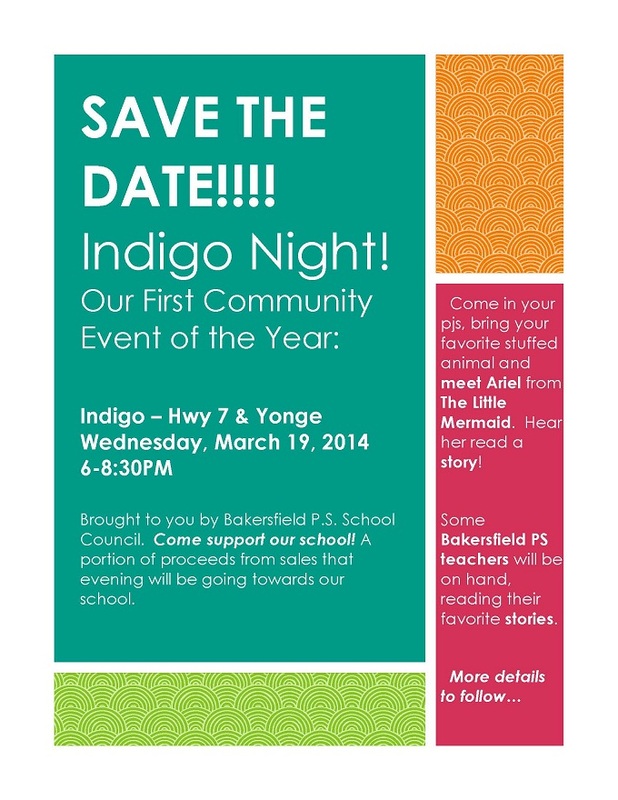 On behalf of our School Council, please save the date for an upcoming community event at Indigo (Hwy 7 & Yonge, Richmond Hill) on Wednesday, March 19, 2014 from 6:00 p.m. to 8:30 p.m. There will be story readings and special guests! There is no cost to attend the event, and a portion of any book sales from the evening also goes to the school, so please consider coming out to enjoy a evening together. For more information, please see the flyer.